DAVID LE/Staff photo. 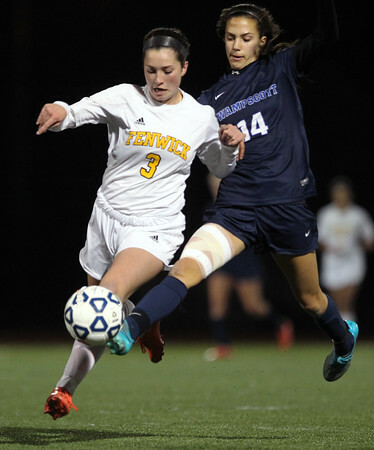 Bishop Fenwick senior Ellen Fantozzi (3) tries to hold off Swampscott freshman Michaela Agresti (14) as she leaps in to try and win the ball away. 11/10/15.